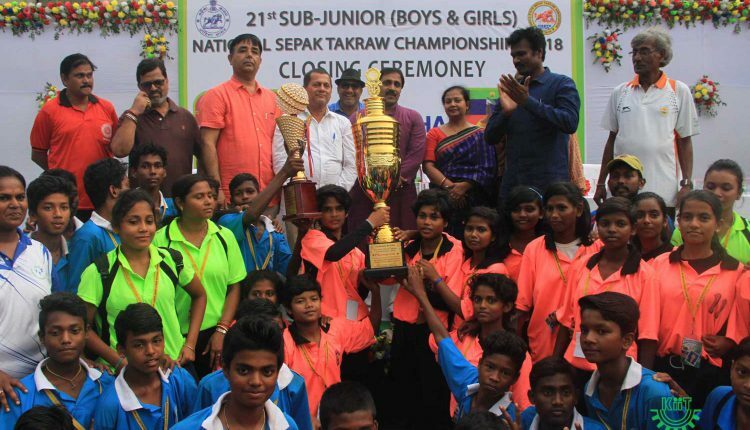 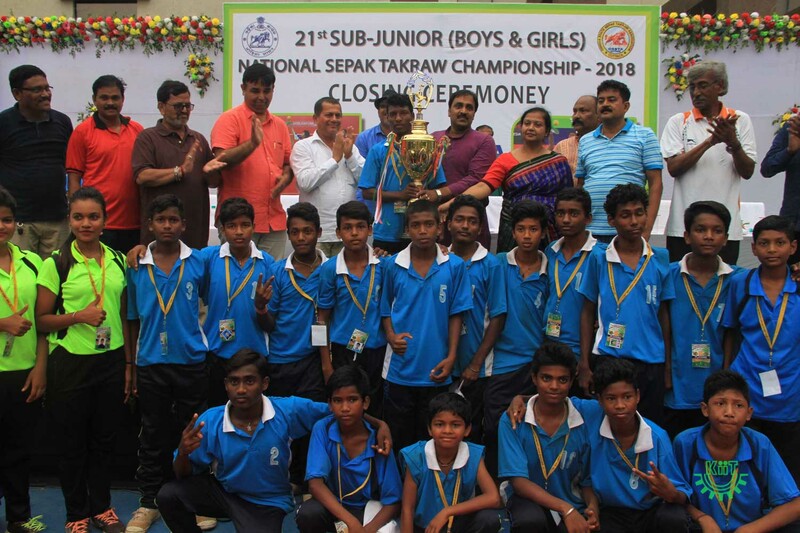 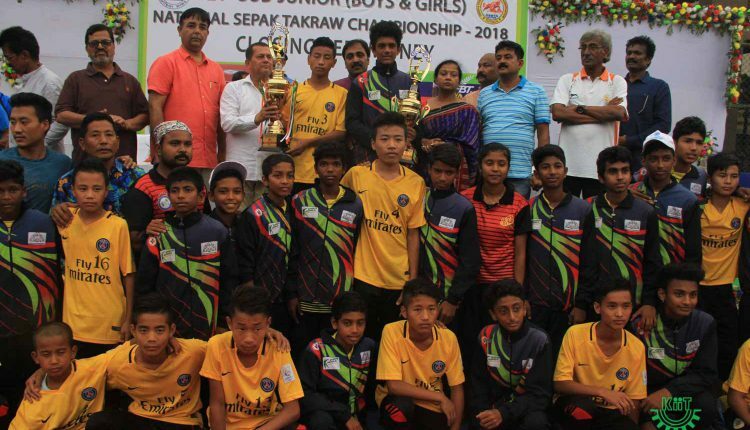 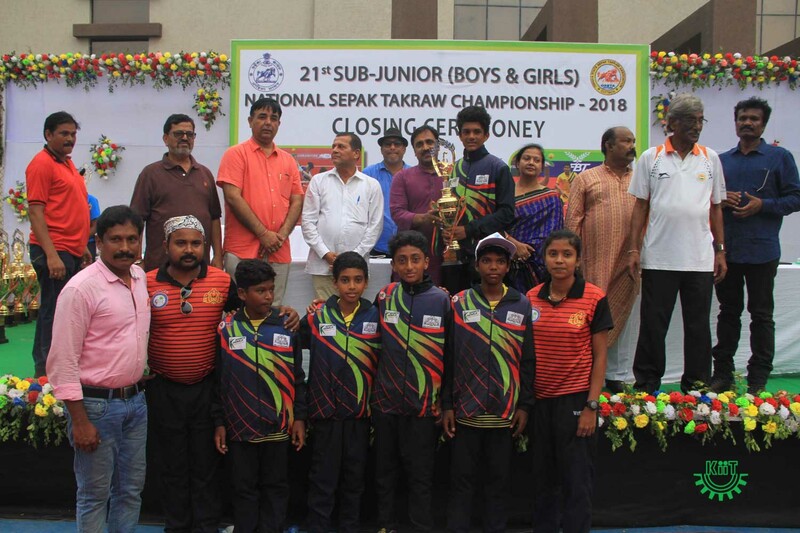 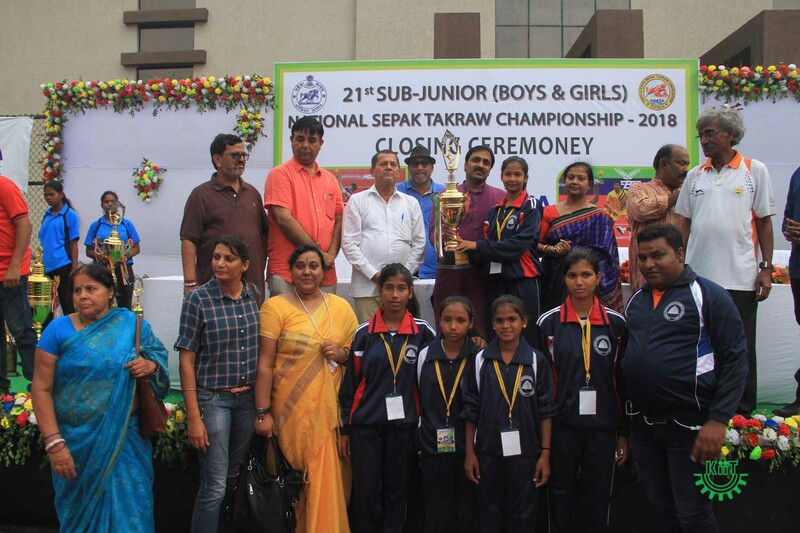 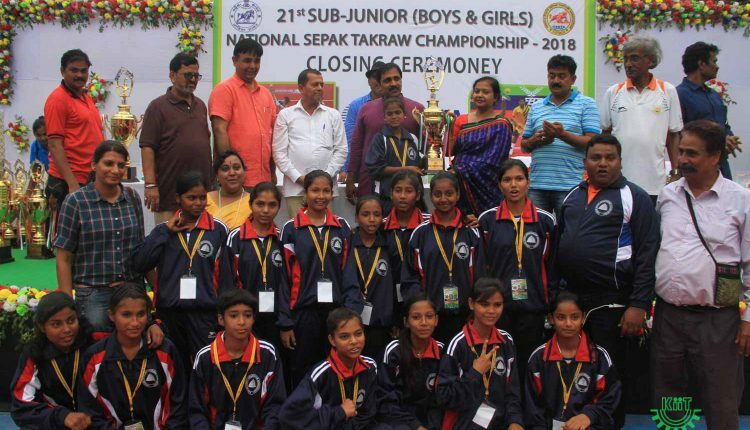 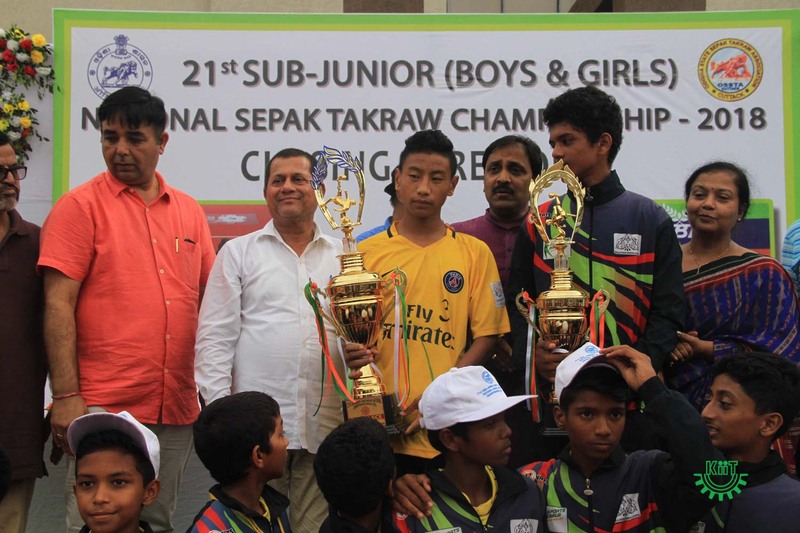 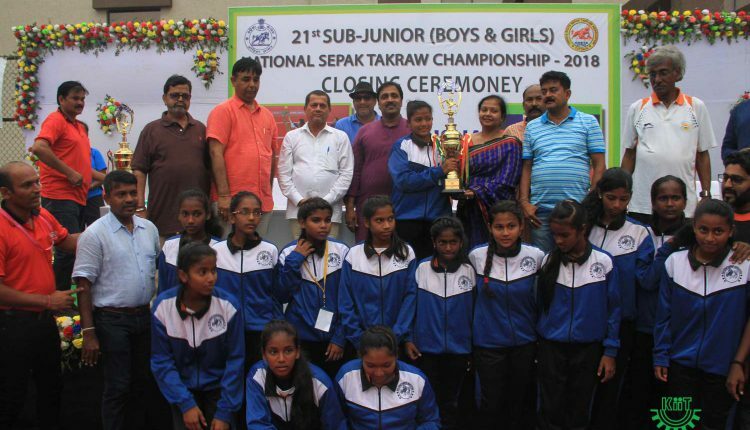 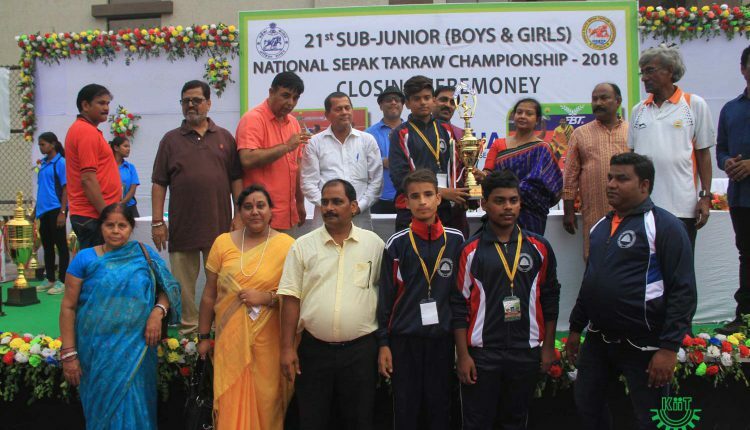 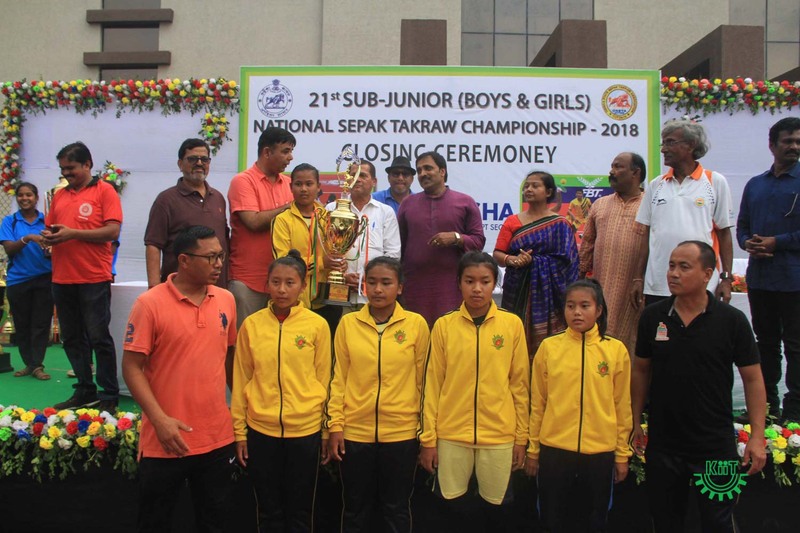 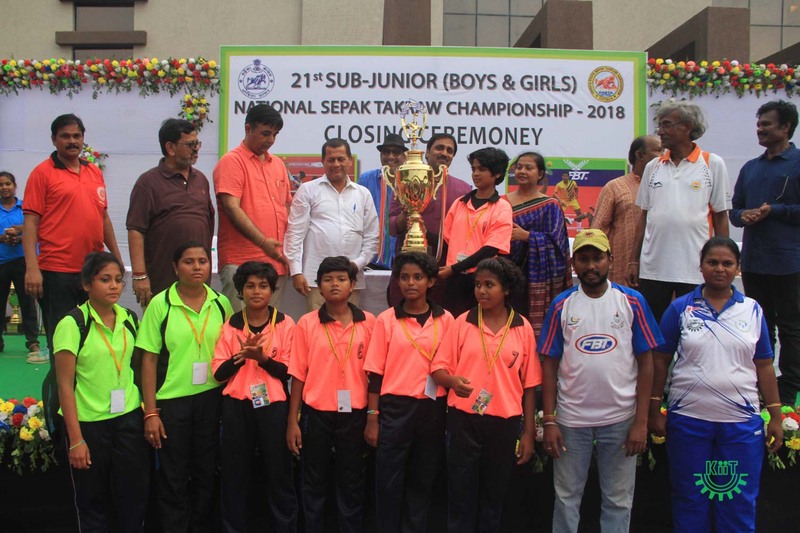 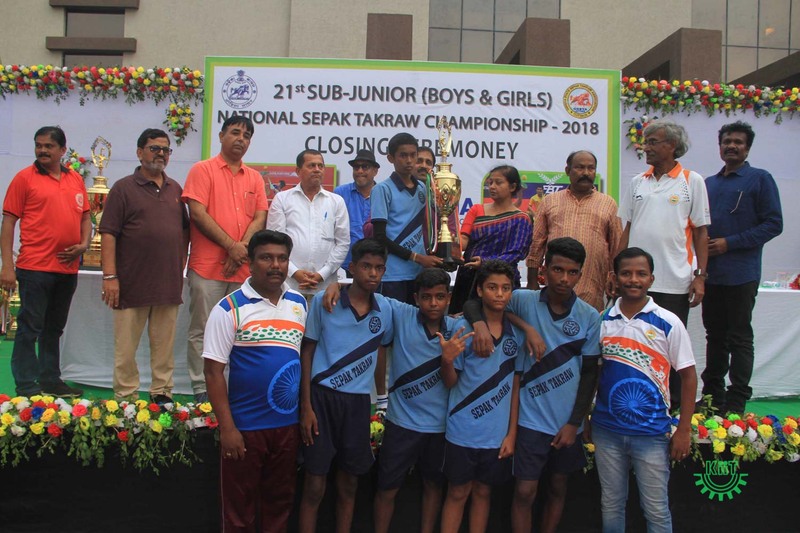 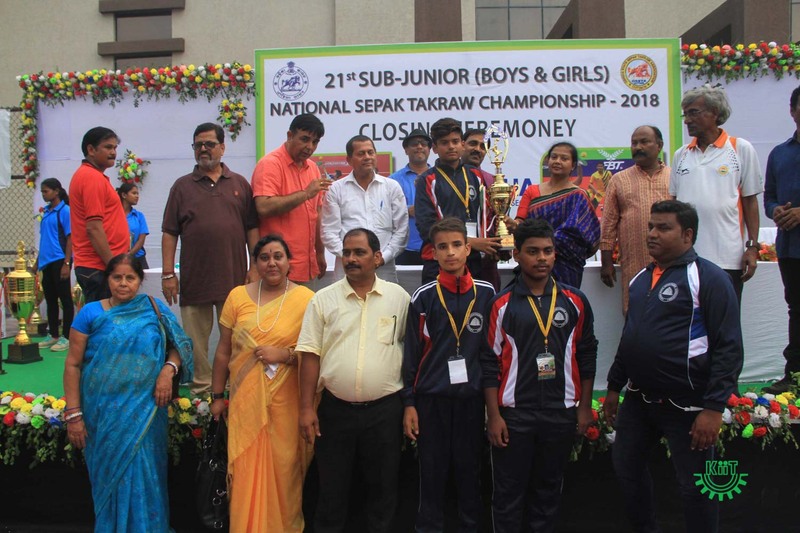 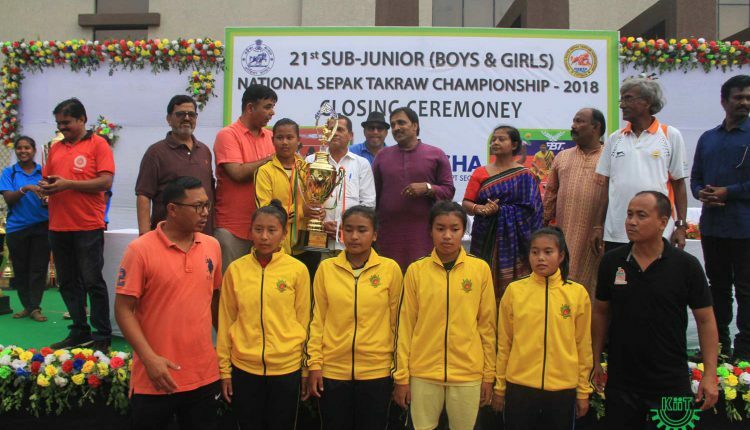 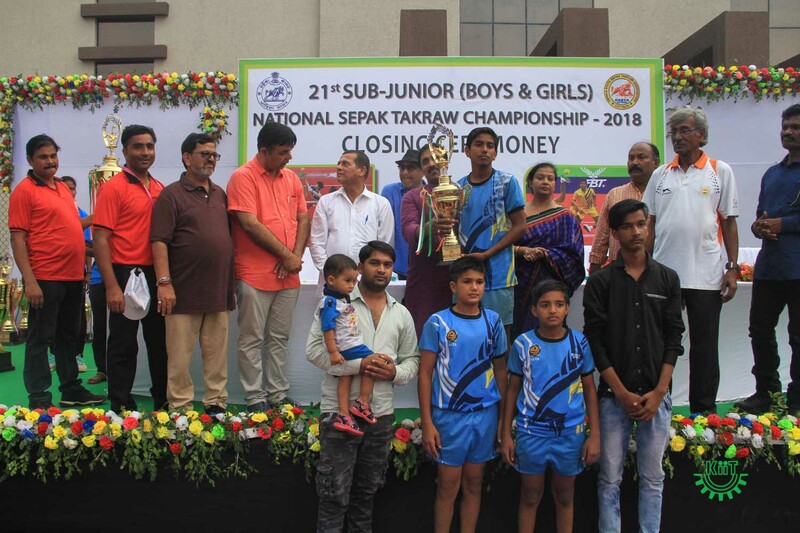 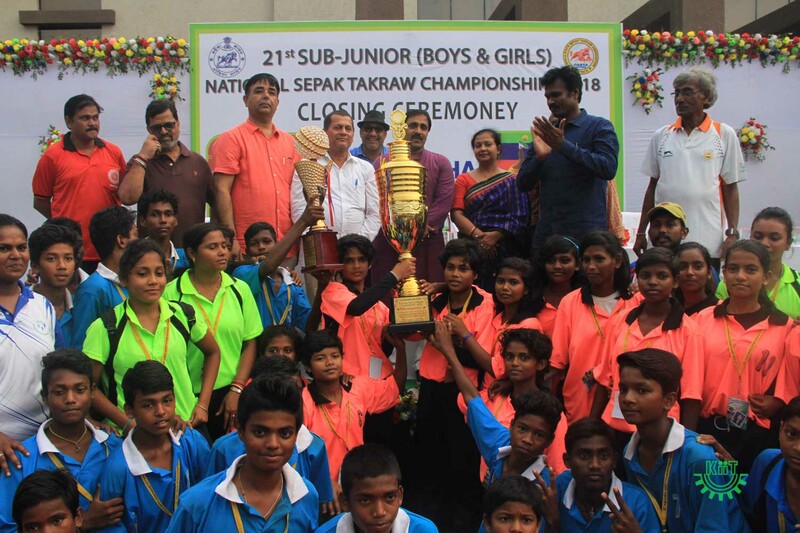 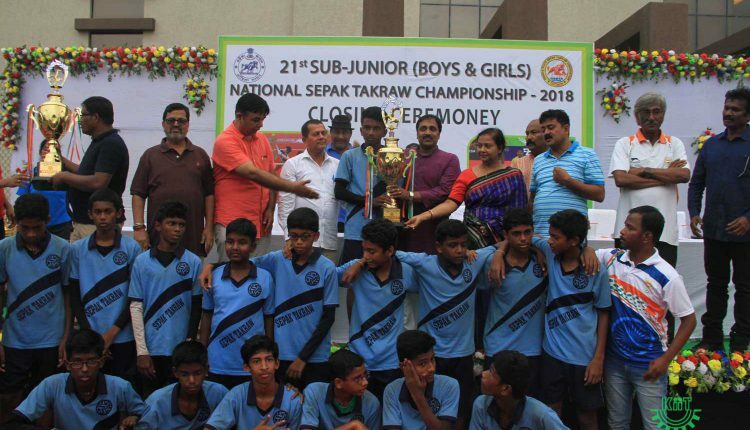 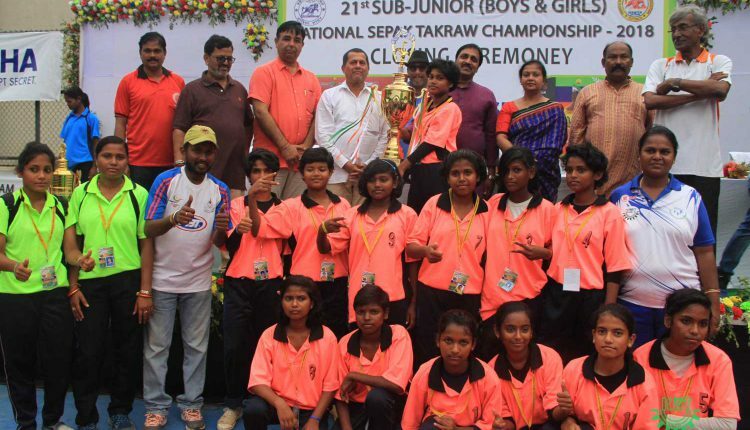 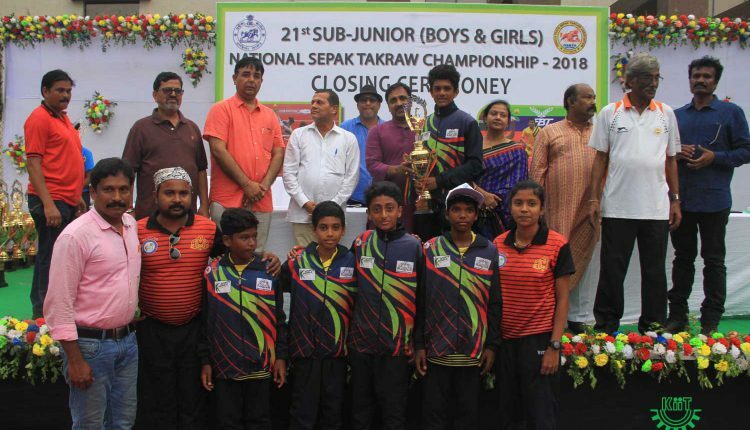 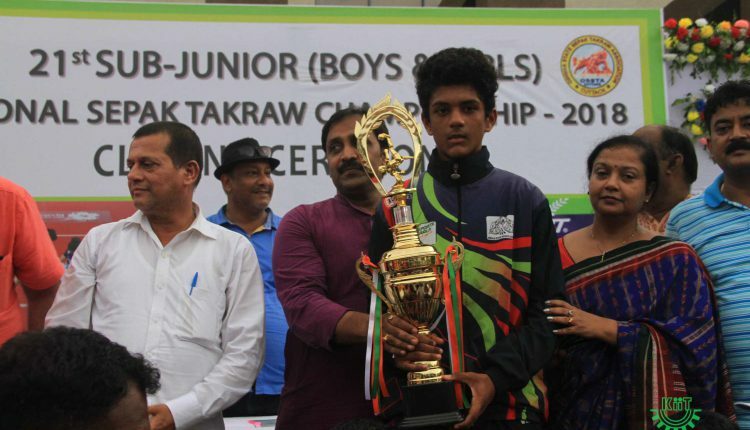 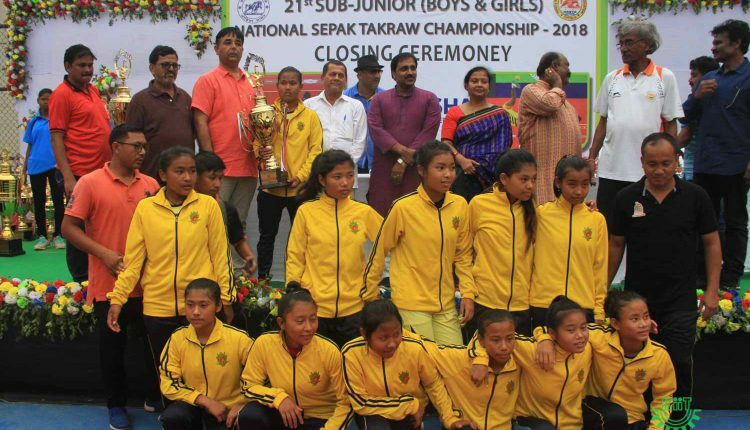 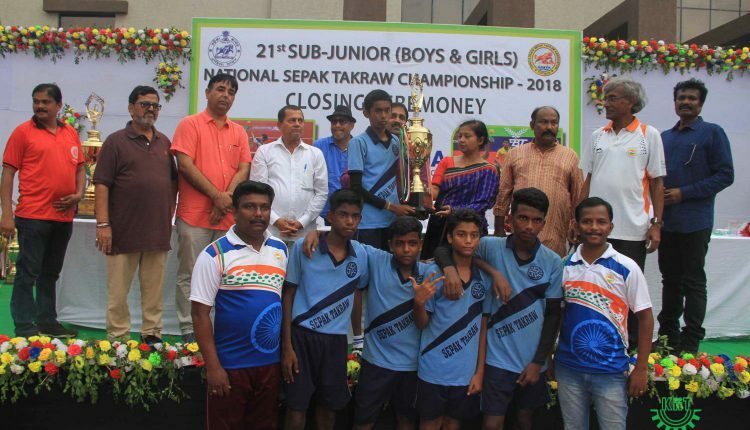 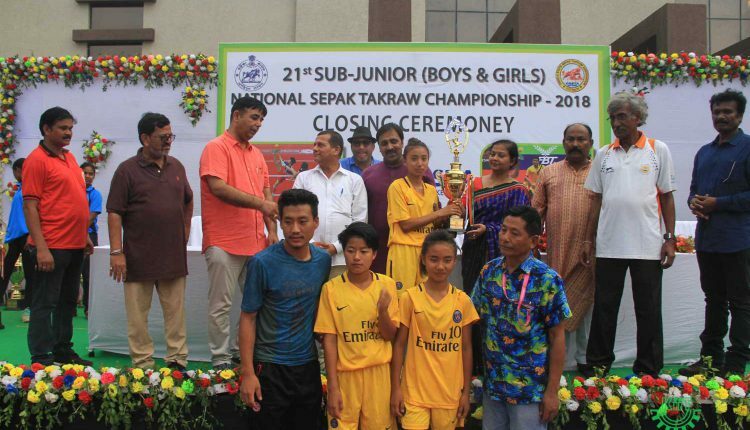 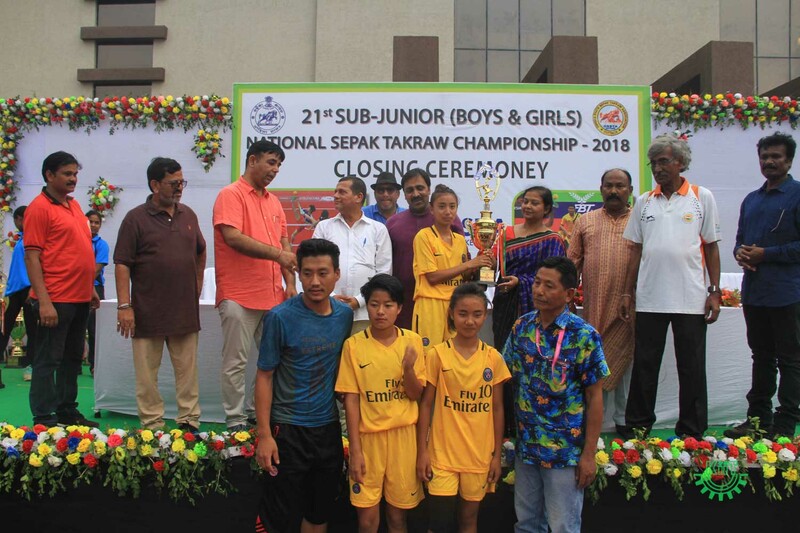 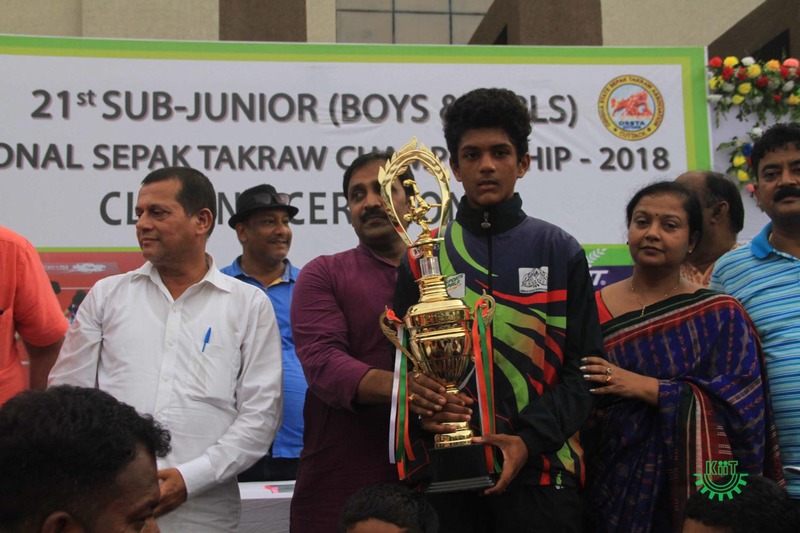 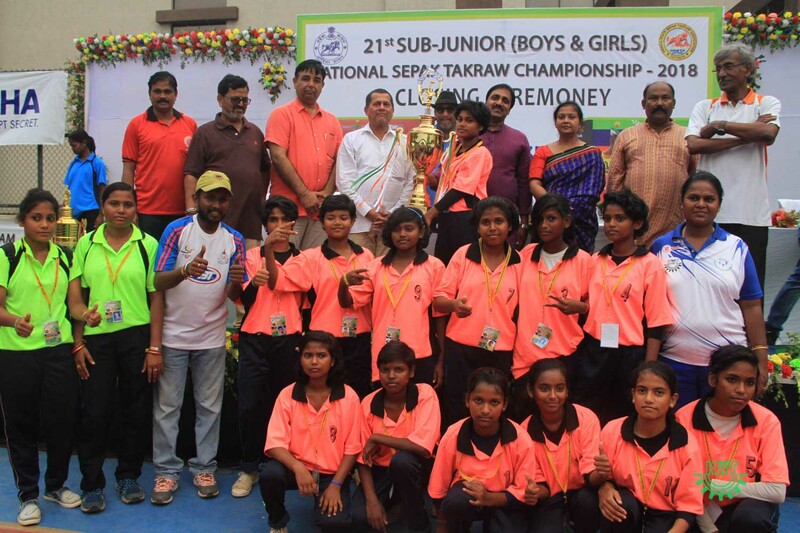 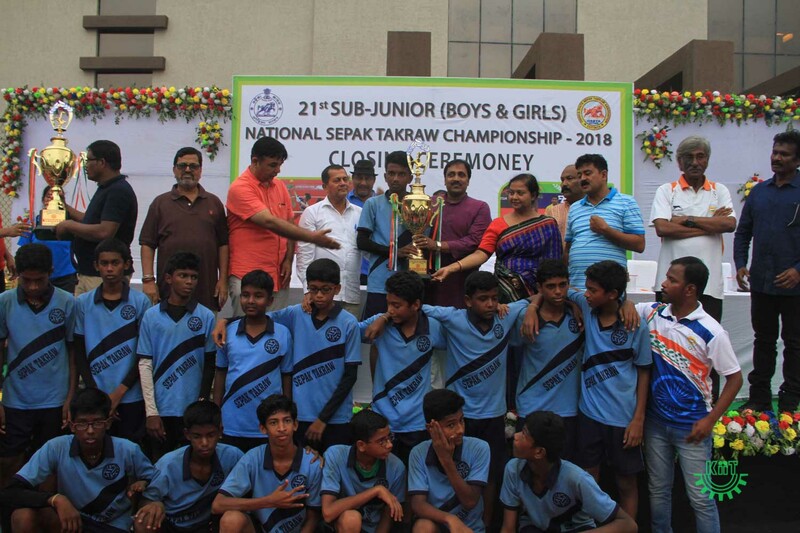 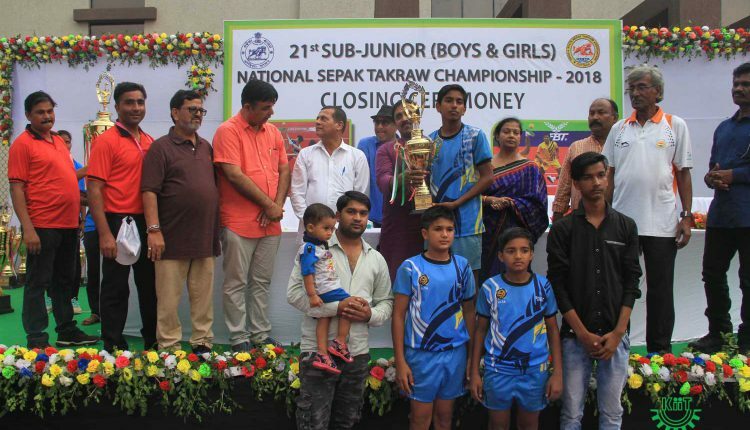 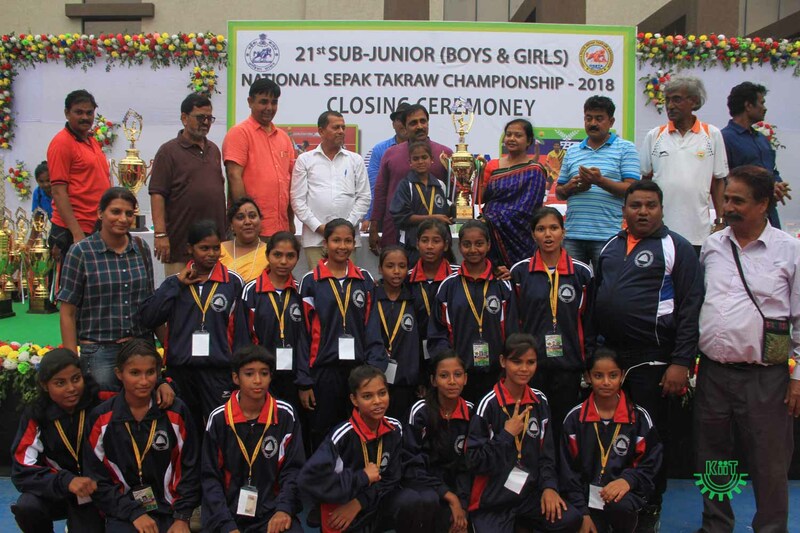 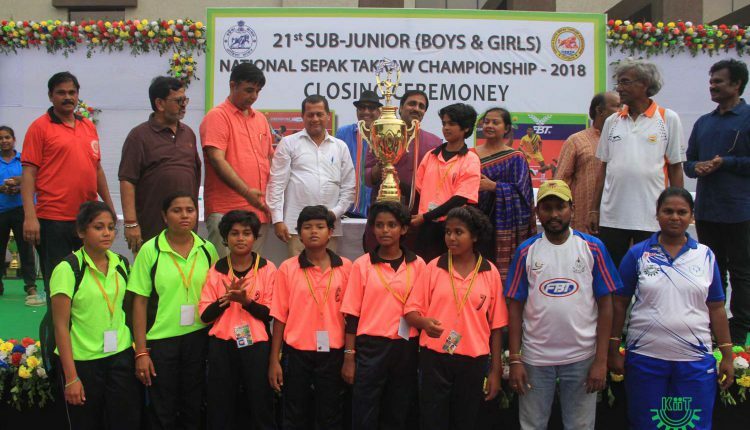 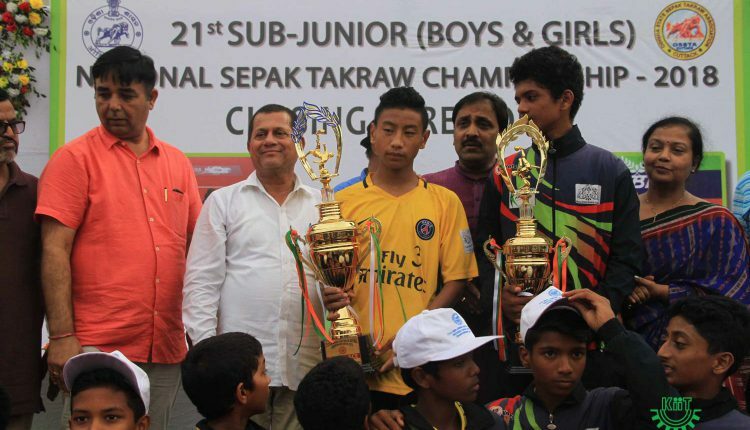 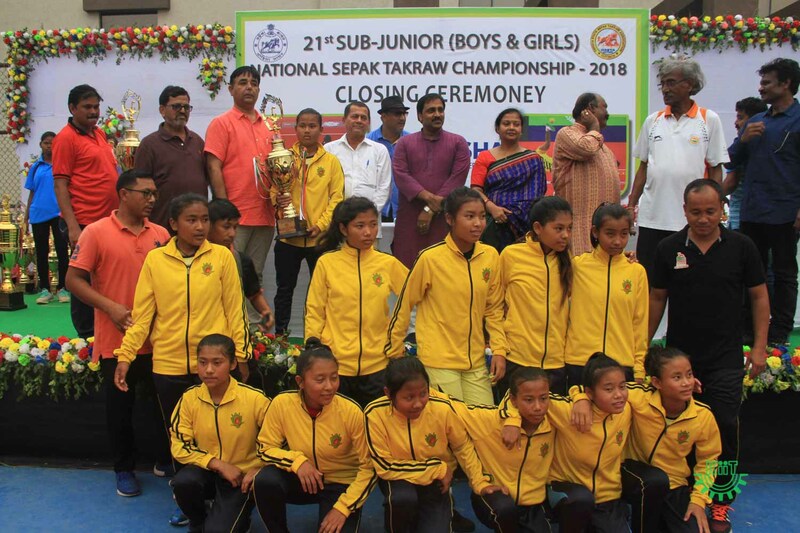 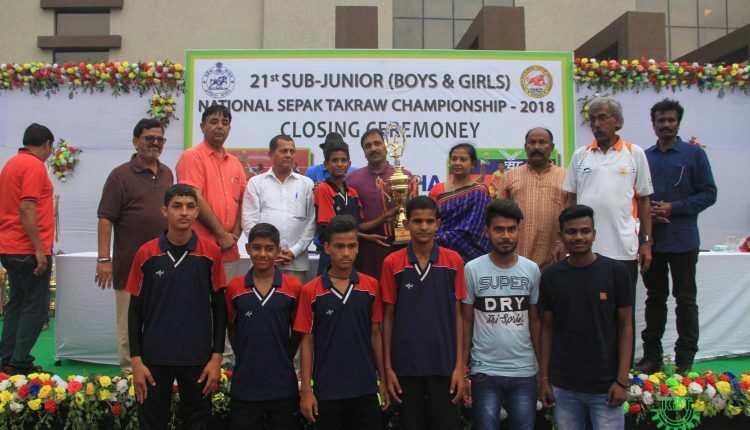 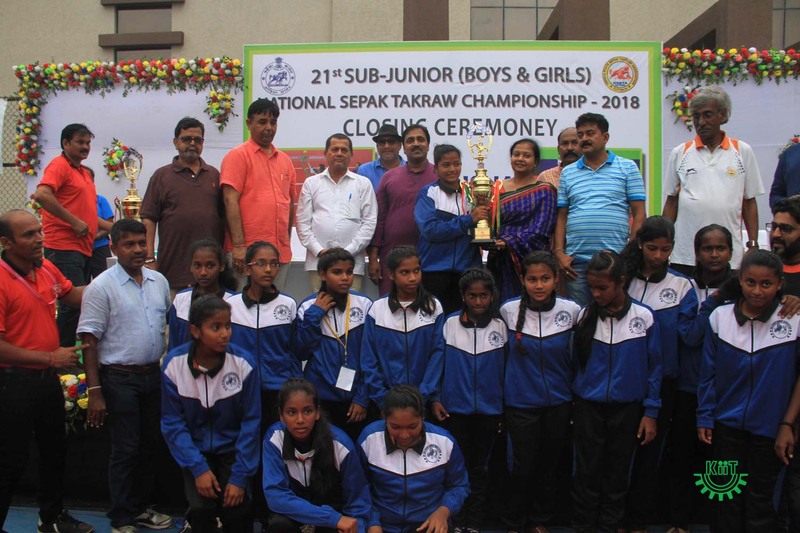 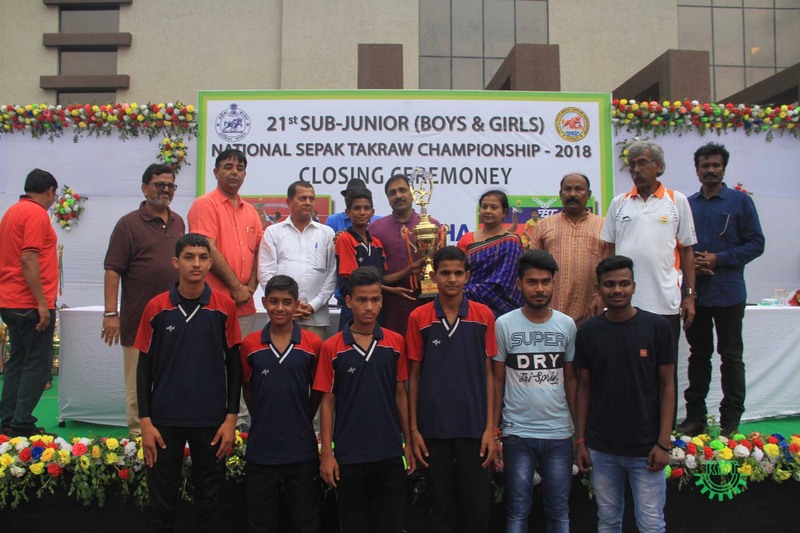 The 21st Sub-Junior (Boys & Girls) National Sepak Takraw Championship–2018, which was being played from 6th to 10th June, 2018 came to an end at KIIT premises on 10th June, 2018. 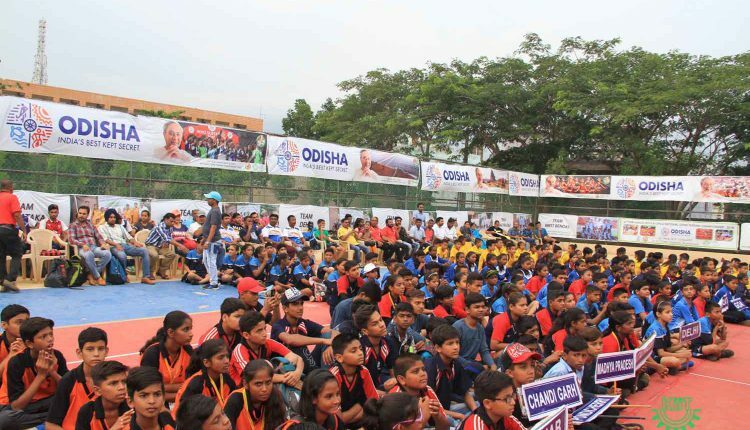 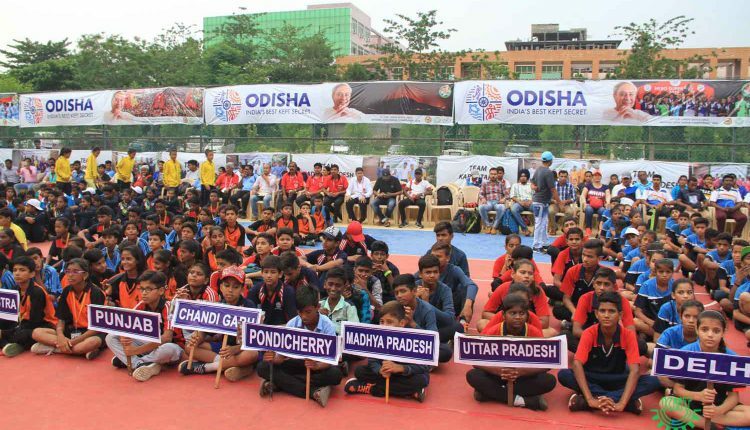 Odisha Boys emerged Champions in Team Event & Runners Up in Double Event while Odisha Girls emerged Champions in Team Event & Regu Event. 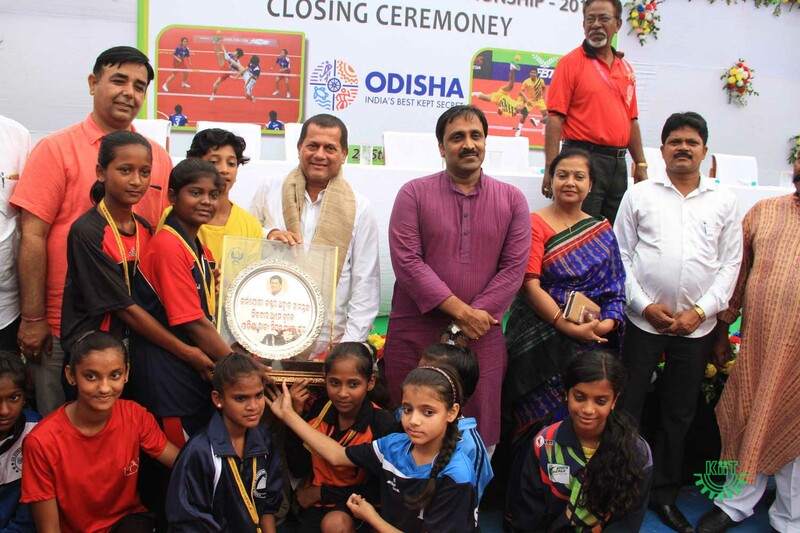 In Girls Team Event, Odisha beat Manipur by 2-1 to be crowned as Champions. 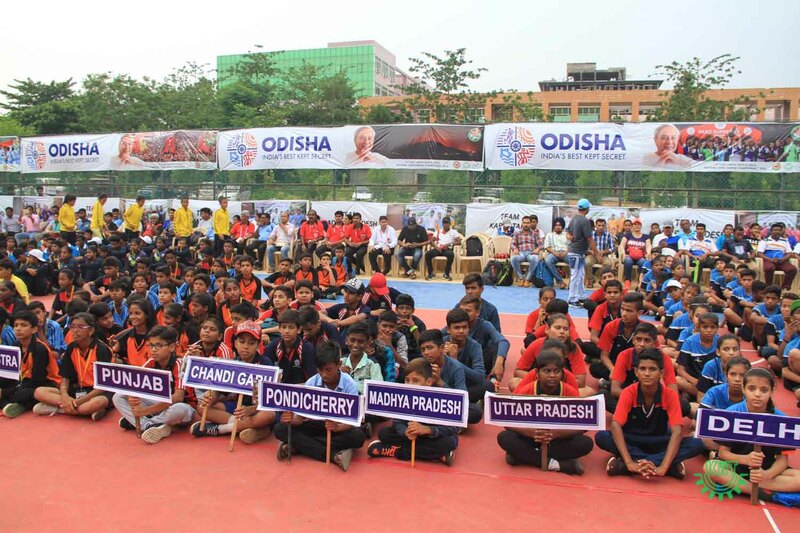 On the other hand, in Boys Team Event, Odisha beat Tamil Nadu by 2-1 to be crowned as Champions. 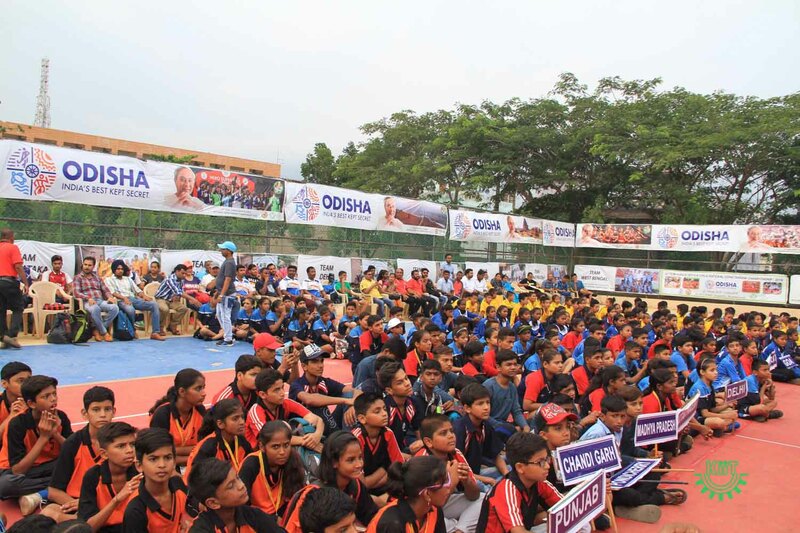 In Girls’ Regu Event, Odisha beat Manipur by 2-0, while, in Boys Regu Event, Manipur beat Tamil Nadu by 2-0. 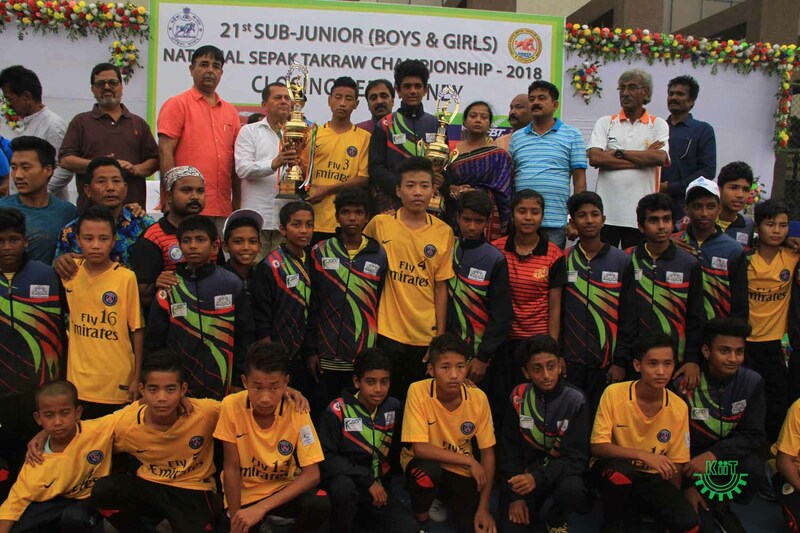 In Double Event, Boys Category, Manipur beat Odisha by 2-0, while in Girls Category, Nagaland beat Haryana by 2-1. 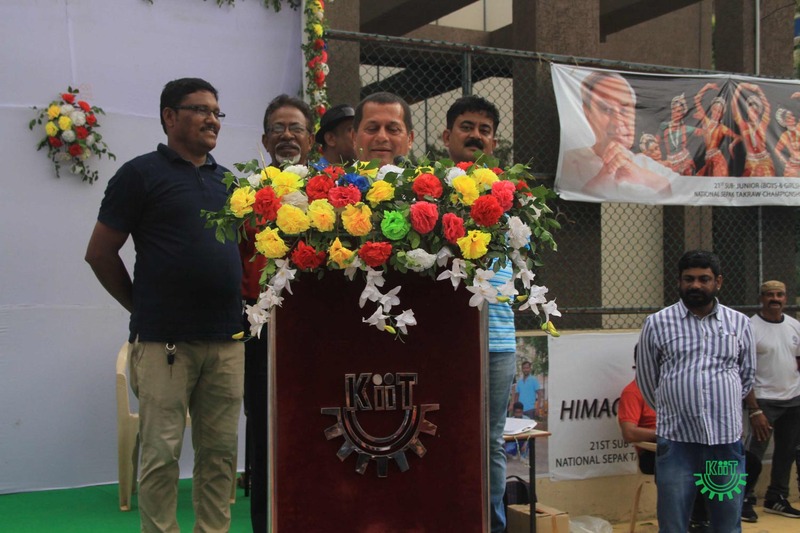 Prof. Achyuta Samanta, Founder KIIT & KISS; Shri. 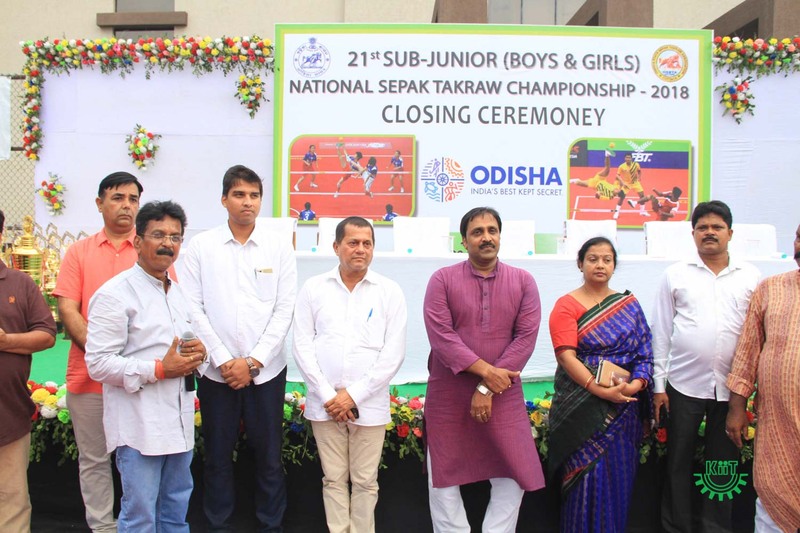 Chandra Sarathi Behera, Hon’ble Minister of State(Independent Charge) Electronics & Information Technology, Sports and Youth Affairs, Government of Odisha; Shri. 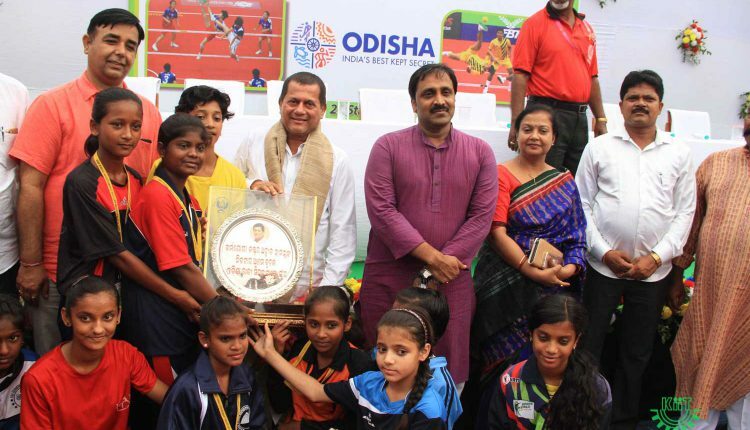 Priyadarshi Mishra, MLA, Bhubaneswar-North; Shri. 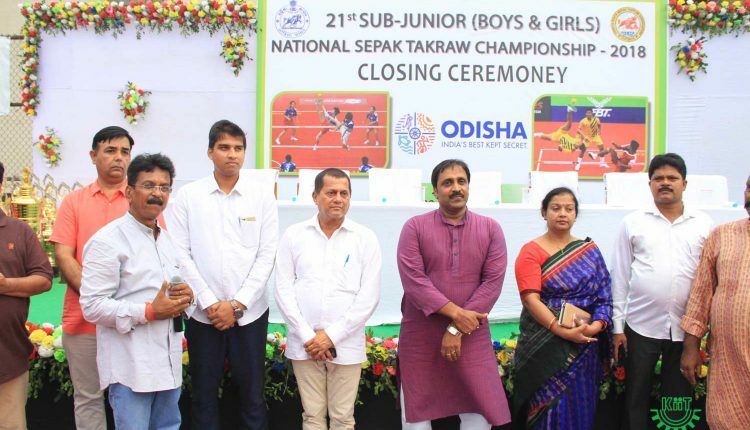 Ananta Narayan Jena, Mayor of Bhubaneswar; Dr. S.R Premraj (President-STFI); Shri. 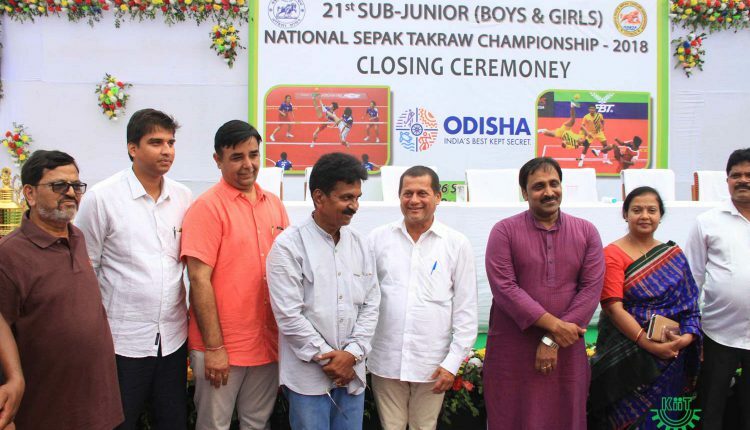 Yogendra Singh Dahiya (Gen Secretary-STFI); Shri. 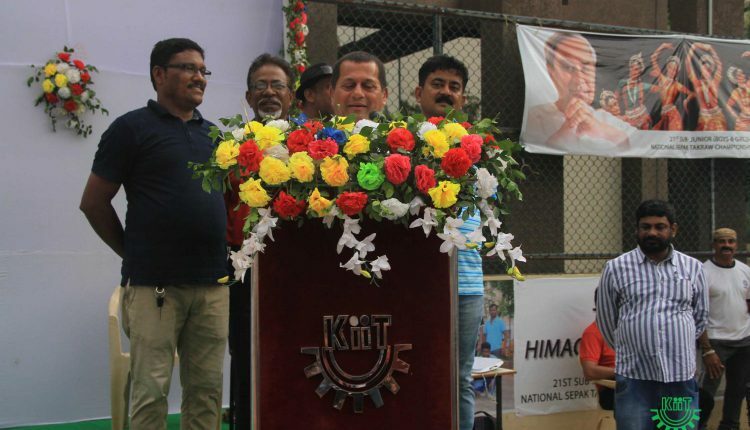 Bimal Kanti Pal (Deputy President-STFI); Shri. 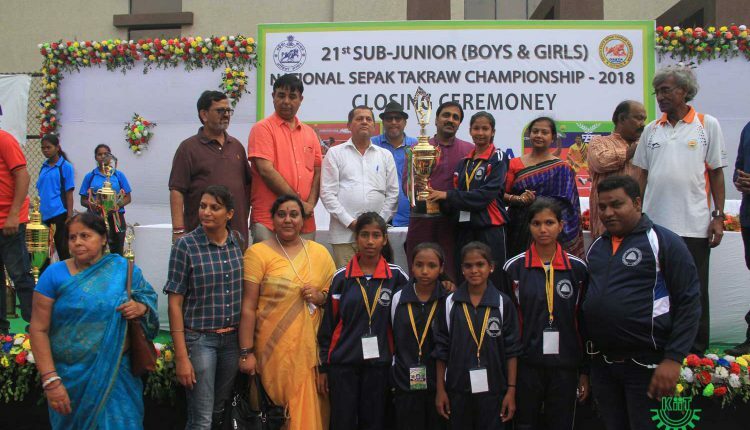 S.M Siriah (Treasurer-STFI) and Shri. 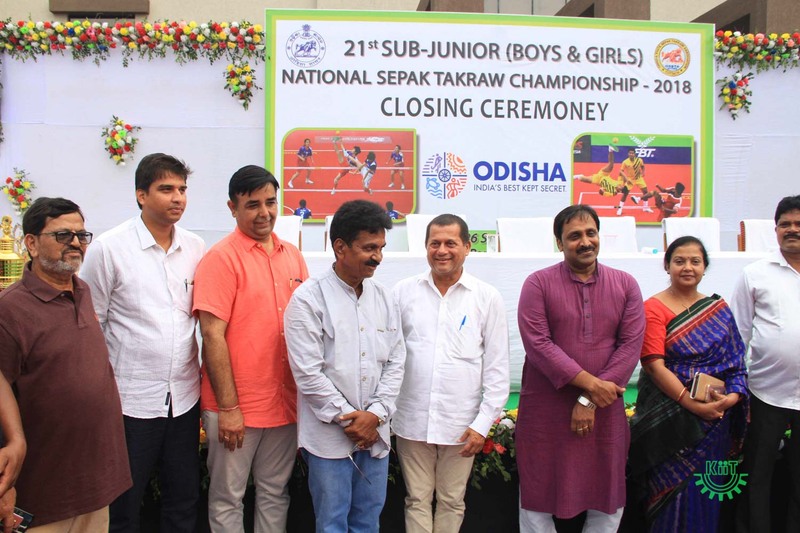 Manoj Pattnaik (Gen Secretary-OSSTA) along with Dr. Gaganendu Dash, Director, Sports, KIIT Deemed University graced the Valedictory Ceremony and felicitated the winners in different categories.